Mariners shortstop Jean Segura advances Mariners catcher Mike Zunino to third in the third inning as the Seattle Mariners take on the Houston Astros for their home opener for the 2017 season Monday April 10, 2017. Segura will receive $70 million over five seasons with an option for a sixth season. The Mariners have found a starting shortstop and a productive leadoff hitter in one player and they aren’t letting him go. The team announced on Wednesday morning that they’ve signed Jean Segura to a five-year contract extension, making him part of the team’s future. With his wife, Kellen, who is expecting their second child, and his son, Juan Diego, joining him at a press conference at Safeco Field and his teammates and coaching staff clad in their pregame uniforms also standing and watching, Segura relished his future with the Mariners and the emotional, financial and professional stability that a contract extension would provide. While the Mariners didn’t release the financial details of the contract per club policy, sources confirmed the structure of the contract. Segura will receive a $3 million signing bonus. He will make $9 million for the 2018 season and then $14.25 million per season from 2019 through 2022. There is a club option for a sixth year at $17 million in 2023 with a $1 million buyout. The contract also features a full no-trade clause. The no-trade clause was something that Segura and his representation Creative Artists Agency wanted as part of any contract extension. 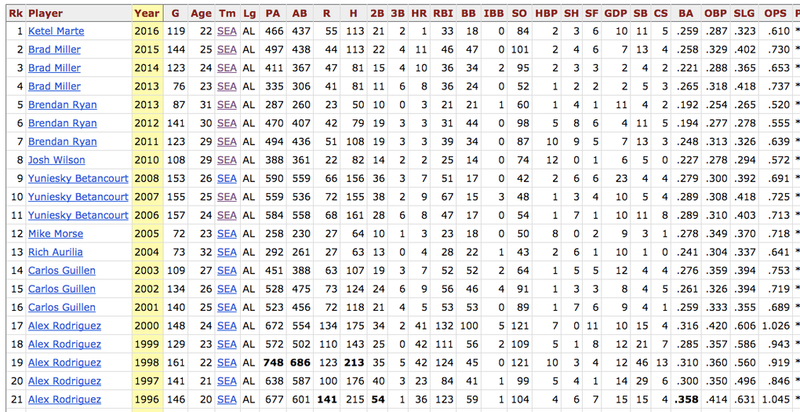 Segura has been traded three times in his career, once previously by Dipoto, going from the Angels to the Brewers to the Diamondbacks and then the Mariners. Dipoto understood the desire for that stability. This is the first major contract commitment of the new ownership group led by Chief Executive Officer John Stanton, who sat beaming at the press conference, along with president Kevin Mather, and traded high fives with Segura’s son. 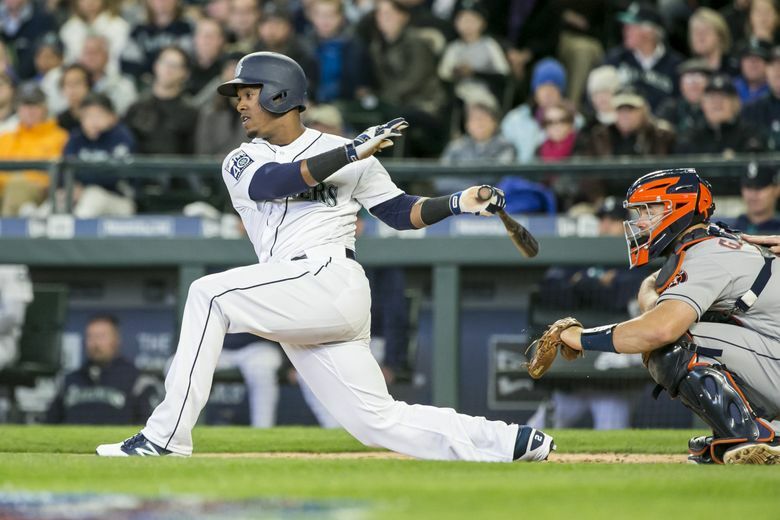 Mariners’ ownership embraced the idea of extending Segura. It’s been a long and unsuccessful search by the Mariners to find productive shortstop since the departure of Alex Rodriguez in 2000. Past trade attempts for veterans proved unsuccessful, while multiple high draft picks and international signings never developed into players that could handle the rigors of the position on defense while still being a viable contributor on offense. Segura, 27, has been both for them this season, despite injuries that have landed him on the disabled list. Before suffering a high ankle sprain that forced him to the 10-day disabled list on June 3, Segura was hitting .341, tied for the best batting average in the American League with an .852 on-base plus slugging percentage, 10 doubles, four homers and 20 RBI and seven stolen bases in 43 games. Since the start of the 2016 season, Jean ranks fourth in MLB in hits (265) and fifth in batting average (.324), despite two stints on the disabled list. Among leadoff hitters during that same span, he leads the Majors in doubles (48) while ranking 2nd in extra-base hits (79) and 5th in RBI (83). Seattle acquired Segura in the offseason from the Diamondbacks along with outfielder Mitch Haniger and pitcher Zac Curtis in exchange for pitcher Taijuan Walker and infielder Ketel Marte. He has been everything the Mariners expected and more.